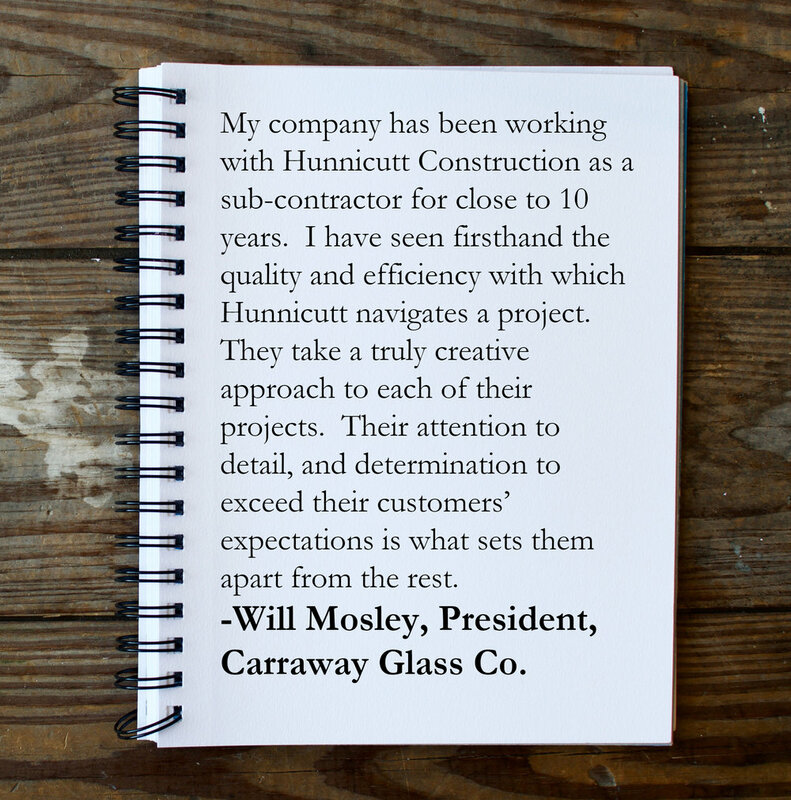 Hunnicutt Construction’s approach to the Design Build process creates a unified team of designers and contractors working together to bring your project to life from concept to completion. When architects, designers, engineers and builders each lend their own experience and perspective to every phase of a project, areas of potential conflict become opportunities for collaborative problem solving and creative innovation. The Design Build process has become increasingly popular as an option for Owners seeking a simplified construction experience. Utilizing a single team for both design and construction creates a seamless integration of services for the Owner, with only one contract to manage, and a single point of responsibility. Drawing from the strengths and unique expertise of both the design and construction professionals from day one minimizes the potential for unforeseen complications and miscommunication, as each role gets input at every phase. Design Build is a proven strategy that saves time and money for Owners through improved communication and streamlined delivery.